Caseloads for child welfare workers in New York City have risen since a 6-year-old was beaten to death in a Harlem apartment last fall, the latest issue with the embattled agency. Melissa Russo reports. Caseloads for child welfare workers in New York City have risen since a 6-year-old was beaten to death in a Harlem apartment last fall, the latest issue with the embattled agency. The average caseload was 9.2 per worker earlier this year, below the target of 12 at the city's Administration for Children's Services, according to the Daily News. But after Zymere Perkins' death in September, it rose to more than 13.8, largely because of an increase in calls of suspected abuse and neglect. The agency hired 600 new caseworkers last year, but child welfare workers told the newspaper that many are leaving because the job is overwhelming and stressful. "The caseloads are going up," said Anthony Wells, president of Social Service Employees Union Local 371, which represents child protective specialists. "You need to hire to address the attrition rate. 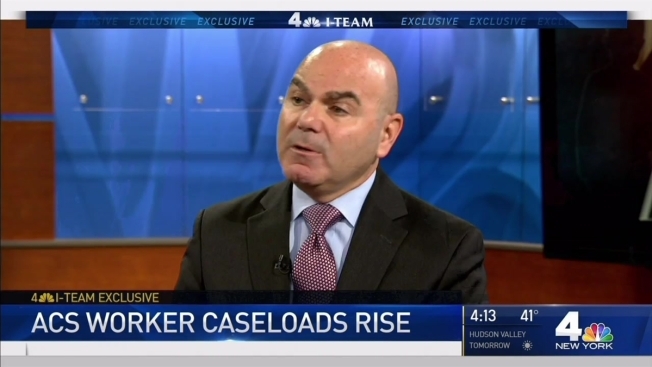 You know in this period you're going to get increased calls because of the high-profile cases." Last May, the city's department of investigation detailed systemic failures and argued the agency routinely failed to track and follow abuse complaints. Zymere was beaten to death in September. Prosecutors say the boy died after suffering months of abuse at the hands of his mother and boyfriend. Both pleaded not guilty in his death. The city's child welfare agency had received abuse and neglect complaints that were improperly investigated, state officials said. Three child welfare employees were fired. Then in December, 3-year-old Jaden Jordan was killed and his mother's boyfriend was arrested. ACS had tried to check on suspected abuse before the child died but went to the wrong home. Agency officials said the caseload spike was temporary. "We recognize that caseloads rise temporarily following high-profile cases, and averages fluctuate at various times throughout the year, which is why our continued focus remains building on the 600 workers we've recently hired," acting Commissioner Eric Brettschneider said. The agency's commissioner resigned in December, and a replacement emerged Monday. David Hansell, a lawyer who oversaw child welfare programs at the U.S. Department of Health and Human Services, will start next month. Independent auditors were also looking at cases, and the police department was working with the child welfare agency to track performance using a computerized system.